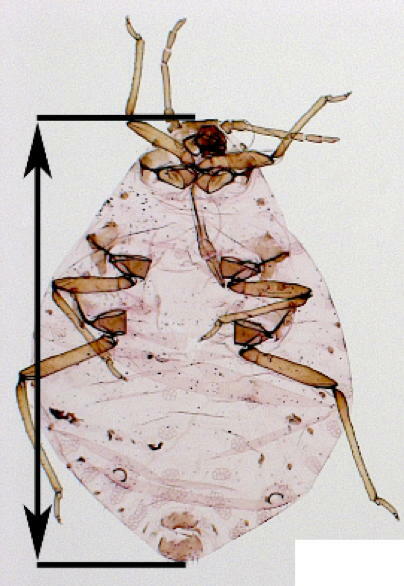 The aphid body consists of the head, three thoracic segments, and eight abdominal segments. The three thoracic segments are called the prothorax, mesothorax, and metathorax and each bears a pair of legs. 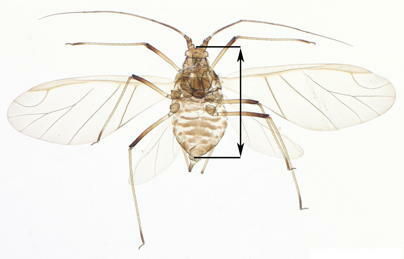 In the case of alatae, the two hind thoracic segments each also bear a pair of wings (forewings and hindwings). The body length is measured from the middle of the frons on the head to the end of the eighth abdominal segment. Body length is measured from the middle of the frons of the head. 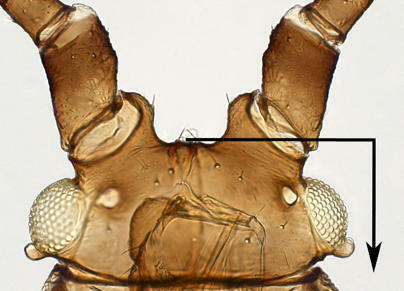 Note that it does not include the antennal tubercles. Body length is measured from the end point of the eighth abdominal segment, but does not include the cauda or the siphunculus. 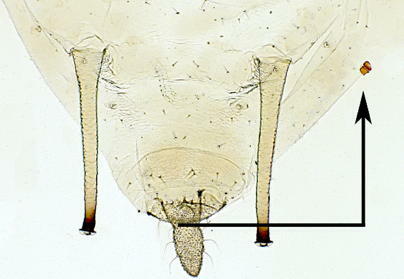 When there is no discernible cauda, body length is simply measured to the tail end of the aphid.